Chelsea and Atletico Madrid announce that they have reached an initial agreement that would see Diego Costa return to the Spanish club. 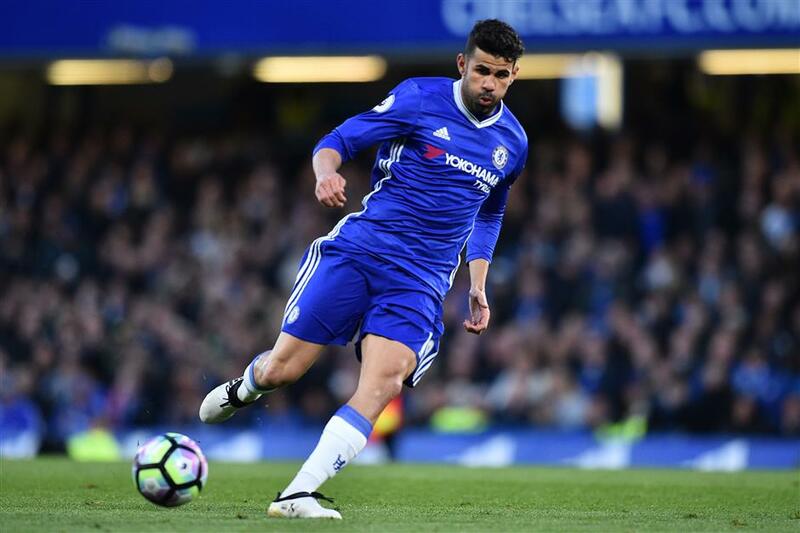 Chelsea striker Diego Costa passes the ball during the English Premier League match against Southampton at Stamford Bridge in London in this April 25, 2017, photo. Atletico Madrid and Chelsea have reached an agreement for Costa's transfer to the Spanish club. Diego Costa's messy split from Chelsea appeared to reach its conclusion on Thursday with the English Premier League club saying it had agreed to sell the Spain striker back to Atletico Madrid. Costa, a key figure in Chelsea's two titles in the last three seasons, has not featured for the club since the FA Cup final defeat against Arsenal in May. "Chelsea Football Club has today agreed terms with Atletico Madrid for the transfer of Diego Costa," a statement said. Atletico said that Chelsea gave the Spain international permission to travel to Madrid in the coming days to take his medical and finalize the contract with his former club. According to Spanish paper El Mundo, Atletico will pay 55 million euros (US$65 million) for Costa, making him its record signing, surpassing the 40 million euros it paid Porto for Radamel Falcao in 2011. The 28-year-old Brazil-born forward joined Chelsea in 2014 and scored 52 goals in 89 league appearances. Costa finished as Chelsea's top scorer for each of his three seasons in London, but while his contribution on the field was huge his time at Stamford Bridge has not always been harmonious. In his second season his sudden loss of form was a contributory factor in the poor start to the campaign which ended in the sacking of coach Jose Mourinho. After winning a second EPL winner's medal last season he made clear his wish to rejoin Atletico during the summer after claiming Chelsea manager Antonio Conte had told him via text message that he was no longer required at the club. Rather than returning to London for preseason training he opted to remain in Brazil, accusing Chelsea of treating him "like a criminal" and asking for an unrealistic transfer fee. Problems arose at the start of the year when Costa was left out of the Chelsea side for an away match at Leicester City after reports of a training ground dispute with a fitness coach. At the time Costa seemed on the verge of signing a lucrative deal with Chinese Super League club Tianjin Quanjian. He returned to the first team, however, and ended the season with 20 EPL goals as Chelsea lifted the title. During the summer transfer window Chelsea signed a natural replacement in Alvaro Morata from Real Madrid. Costa will have to wait before pulling on the red and white striped shirt of Atletico as the European transfer window is closed and Atletico is banned from registering new players until 2018 after breaching FIFA rules. He will be eligible for selection from January 2 when the Spanish transfer window opens and Atletico's ban ends. Costa first joined Atletico in 2006 and following a string of loan spells established himself as a key part of Diego Simeone's title winning side in 2013-14 before joining Chelsea in a deal worth 32 million pounds (US$43.21 million). Atletico is in the same UEFA Champions League group as Chelsea but their two clashes will both be before Costa is eligible to continue his career with the Spanish club.